Try a Tri Salad Appeal!! Reminder about our Stop-and Go, Try-a-Tri on Sunday, May 10th, at 4:00pm. 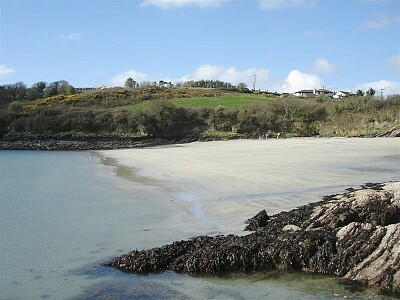 The event is being is being held at the Dock Beach in Kinsale, there is a map and directions on the original post. The event is specifically targeted at beginner triathletes who would like to get a feel for and experience what actually happens during a triathlon, in a non-competitive environment. If you are a beginner please try to get there a little early (3:45pm). Also refer to our original post for the list of things to bring. You must have a wetsuit, no suit no swim, obviously a bike but you must also have a hard shell helmet, no helmet no cycle! No point in sugar coating it but the water will be cold, if you have a neoprene swim hat bring it. The club will provide (free of charge) multiple swim hats if you don’t already have them. There will be a BBQ after the event, CTC will provide bbq’d meat but if coming in groups maybe bring a little salad and something sweet for after. There will be plenty of water provided but if you think you might need a warm drink, bring bring a flask of tea or coffee. For non-club members we will ask you to sign a guest sign-on/disclaimer form. For any juniors coming (U18) a parent must sign the disclaimer. We are also appealing for as many of our experienced members to come along and help out, particularly with the swim, where we will try to “buddy up” experienced with beginners. even if you are only in your second year it would be great for you to come along and chat to the newcomers and take away some of the fear factor for those just starting out. Everybody welcome, but you should feel confident to swim 300m, this equates to 12 lengths of a 25m pool.